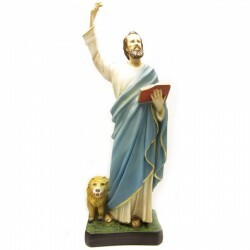 Statue of Saint Mark the Evangelist of 44 cm. 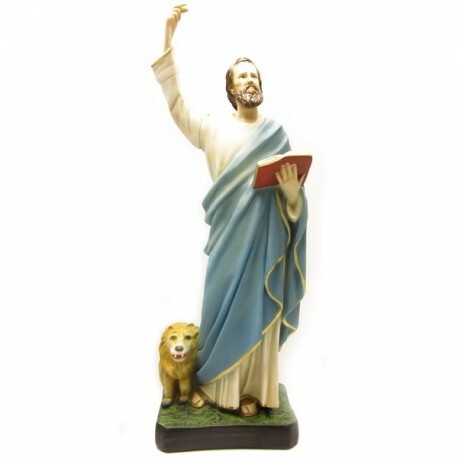 Saint Mark the evangelist is commemorated on the 25th of April. Some works tell us that he was the youth who escare when Jesus was arrested. 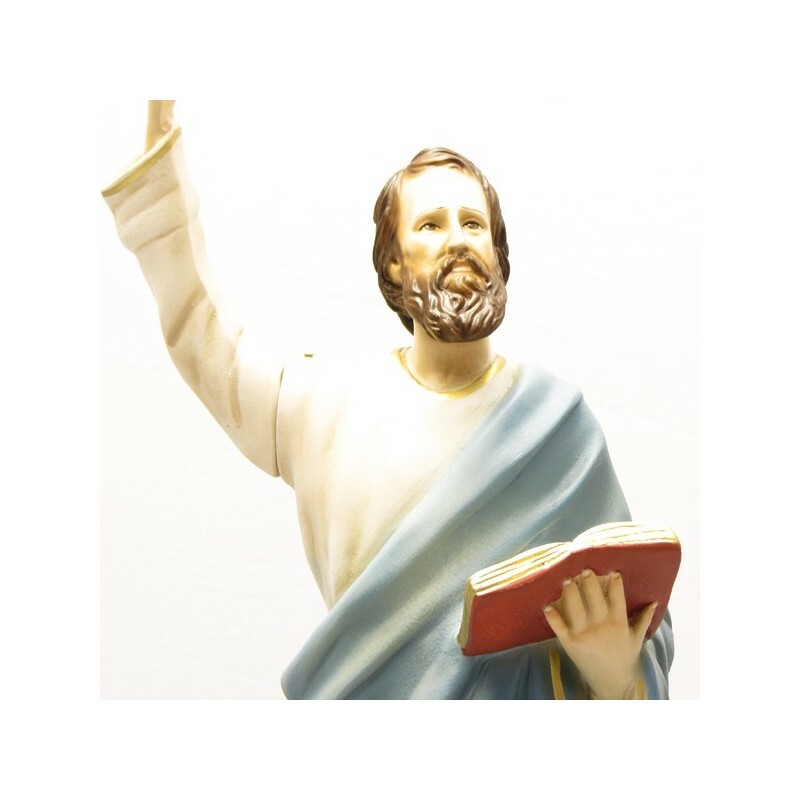 He accompanied the Saints Paul and Barnaba in their first missionary travel and then he followed St. Peter to rome where he was “disciple and interpreter of St. Peter” and he wrote his preaching. 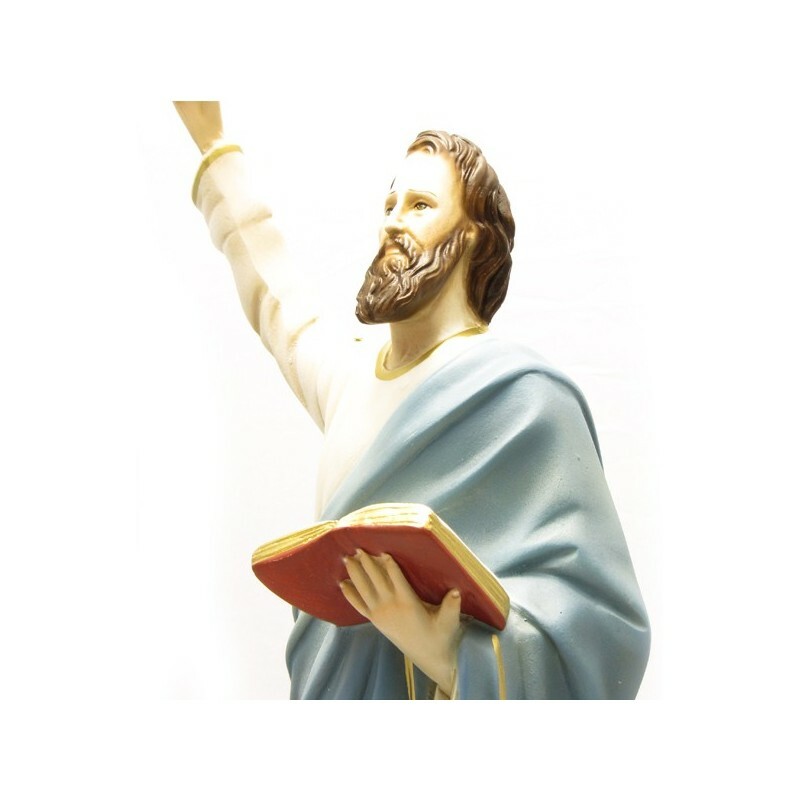 According to the tradition, Mark went to Alessandria, where he founded a christian community and there he died as a martyr. In the IX century his relics were shifted to Venice, in the Church that was consecrated to him. 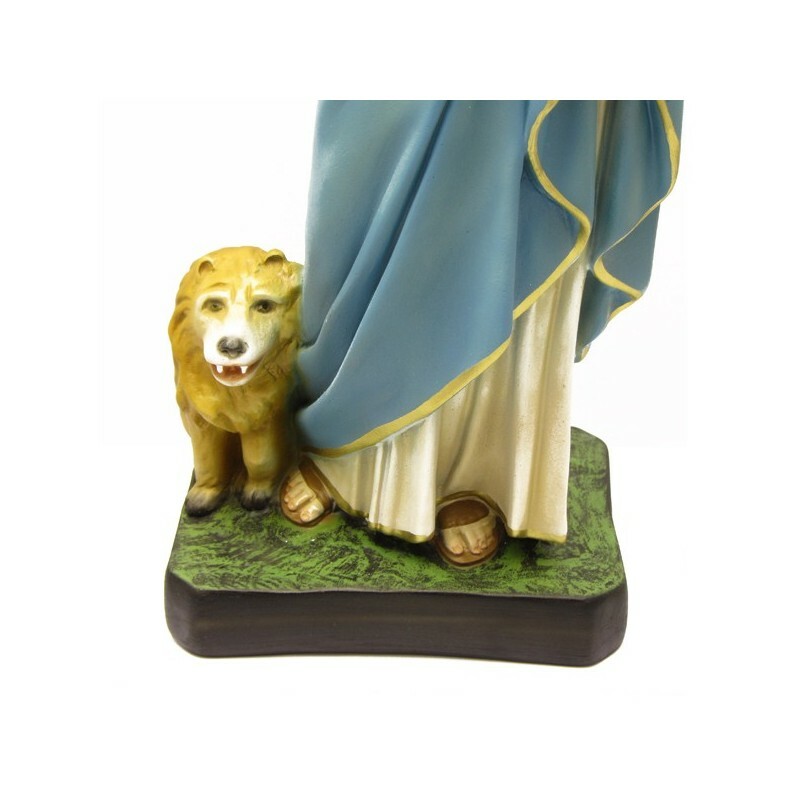 His principal emblem is a winged lion and he is often illustrated while he is writing his Gospel. 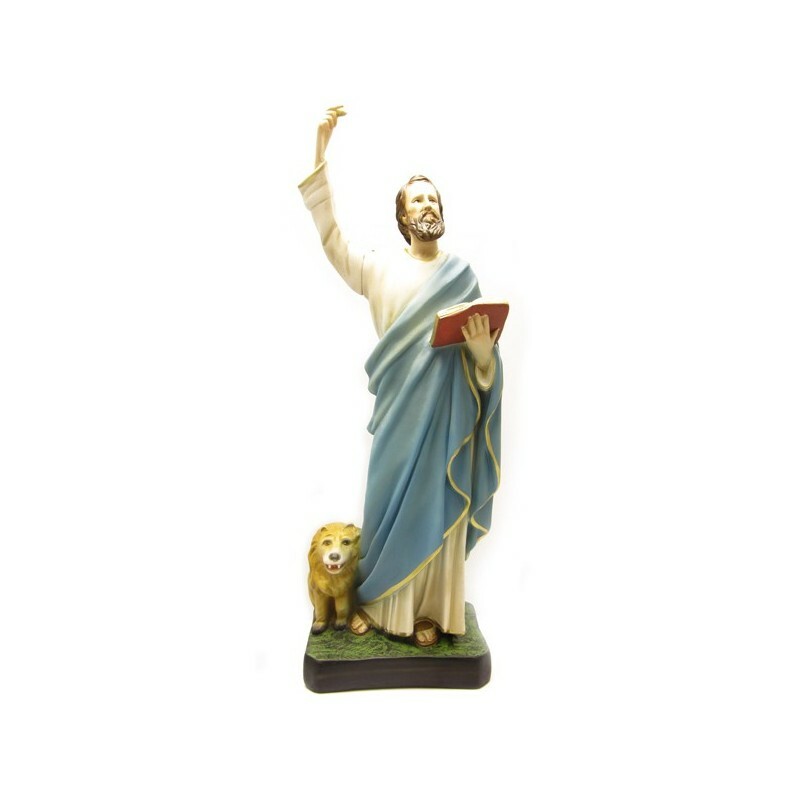 Saint Mark is the patron of Venice.